Religious freedom has become an emblematic value in the West. Embedded in constitutions and championed by politicians and thinkers across the political spectrum, it is to many an absolute value, something beyond question. Yet how it emerged, and why, remains widely misunderstood. According to the conventional narrative, freedom of religion arose in the West in the wake of devastating wars fought over religion. It was catalysed by powerful arguments from thinkers such as John Locke, Baruch Spinoza, Pierre Bayle and Voltaire. These philosophers and political theorists responded to the brutality of the religious wars with support for radical notions of toleration and religious freedom. Their liberal ideals then became embedded in the political institutions of the West, following the American and French Revolutions. The first change was the transformation in the scale of European states. In the late Middle Ages, medieval rulers began to invest in building administrative capacity and to raise taxes more regularly. The most dramatic developments, however, occurred after 1500, as a result of developments in military technology that historians label the Military Revolution. This continent-wide arms race, brought on by the development of gunpowder, forced rulers to invest in greater fiscal and administrative capacity. Economic changes complemented the rise of religious freedom, most notably the onset of modern economic growth. As in the Jewish example, greater freedom allowed religious minorities to flourish. French Protestants expelled by Louis XIV brought with them advanced skills and industrial expertise to England, the Netherlands and Prussia. In Industrial Revolution Britain, Quakers and other religious dissenters were overrepresented among businessmen, entrepreneurs and innovators. The indirect consequences of moving from identity rules to general rules were even more important. Identity rules had limited the scope of trade and the division of labour. As these identity rules were removed – as guilds lost authority, and cities and lords lost their ability to charge internal tariffs – trade and commerce expanded. The history of how religious freedom came to be is a reminder that commitment to liberal values alone is not enough for liberalism to flourish. It requires a suitable political and economic foundation. As the experience of 1930s Germany suggests, religious persecution can quickly re-emerge. We cannot rely on liberal ideas alone to be effective. If we value religious freedom, and other achievements of liberalism, we must look to the vitality of their institutional foundations. As we celebrate tolerance, we might send free-thinking birthday greetings to Tommaso Campanella; he was born on this date in 1568. 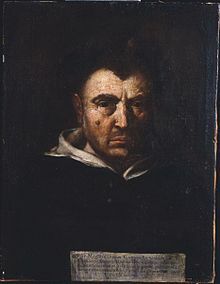 A Dominican friar, philosopher, theologian, astrologer, and poet, he was an early empiricist and a vocal critic of the Aristotelian orthodoxy (indeed, he wrote and published a defense of Galileo during the great astronomer’s ecclesiastical trial). For his heterodoxy, he was denounced to the Inquisition and imprisoned.